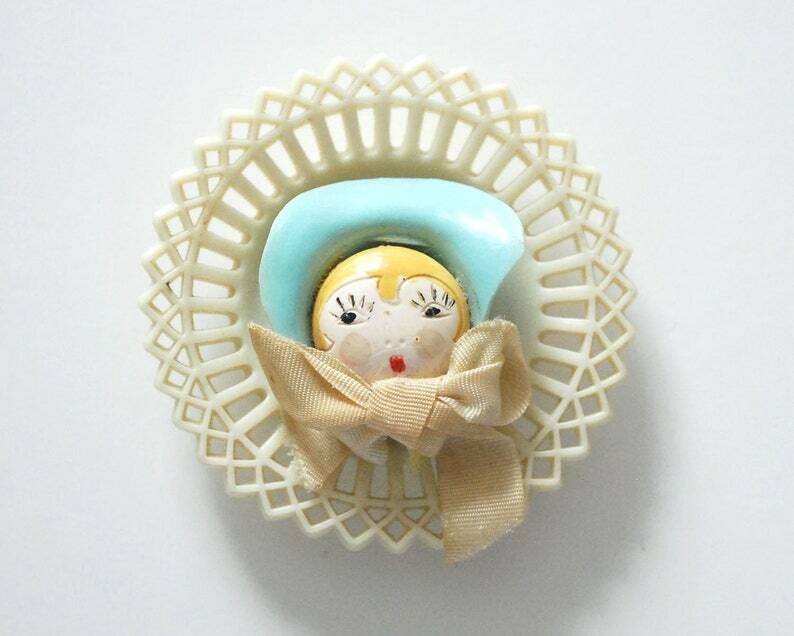 This sweet vintage celluloid tchotchke is a little doll head with a blue plastic bonnet and ribbon, centered on a celluloid filigree circle. The face is also plastic and hand painted, with the big eyelashes and Cupid's bow mouth of a 1920s flapper. I'm not sure what this was originally -- perhaps the lid to a plastic dresser jar, or just a charm of some type. 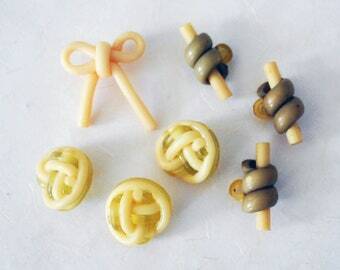 But you could add a bail or pinback to make a pendant or brooch, use as an art supply for collage or scrapbooking, or just keep it around as an unusual trinket. The piece is in very good condition, with a little wear and a portion of the bonnet missing (on the right).